DVD SALE! Take advantage of the special price of Mel's DVDs! Limited inventory! See our DVDs page for specific information. SIGNED BOOK! 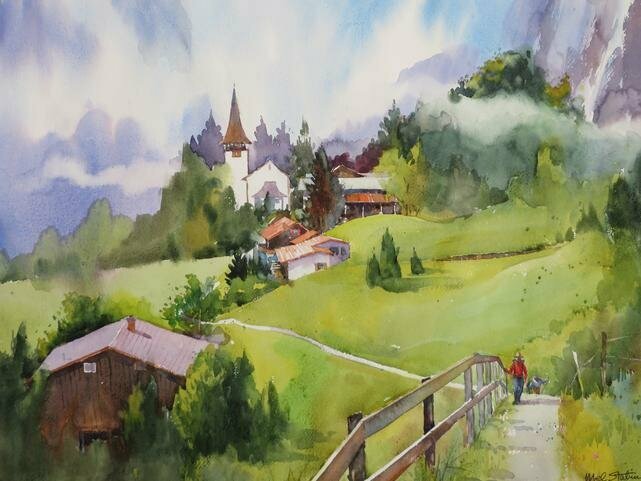 To order Mel's book The Figure in Watercolor: Simple, Fast, and Focused signed by Mel, go to our Books page. Limited inventory! Mel's painting received The Frederick Smallwood, Jr. Memorial Award at the 76th Annual Open Juried Exhibition of the New Jersey Watercolor Society. Copyright © 2006-2019, Mel Stabin. All Rights Reserved. No unauthorized use of any text/images shown on this website is allowed.